One of the biggest obstacles preventing us from connecting with our inner guidance and truth is our negative self talk. The old stories go round in our head, unchallenged. Choosing to believe what the mind tells us, the endless chatter continues. We begin to have expectations on how life should look or how people should behave. We may be struggling to achieve certain goals and outcomes because we want to move ahead, while all the time the mind is giving us a million reasons why we should give up. We’ve learned to live from the Mind instead of the Soul, not realising that we’ve become it’s slave. Truth is, it’s only by letting go of the mind’s noise that we’re able to hear our inner guidance. When we listen to this guidance (that still quiet voice beneath the babble), we begin to notice that we’re being pulled towards something different, something better. Progress in life will occur as we learn how to listen for the guidance and then to practice what we hear. It’s just a matter of learning how to tune in. It’s really nothing more than that. Simply observe your thoughts, letting them pass through you, like clouds drifting by in the sky. Your mind will make plenty of noise at first, clamouring for attention. But as you practice letting it be, allowing the thoughts to pass, you’ll begin to hear what’s going on underneath. 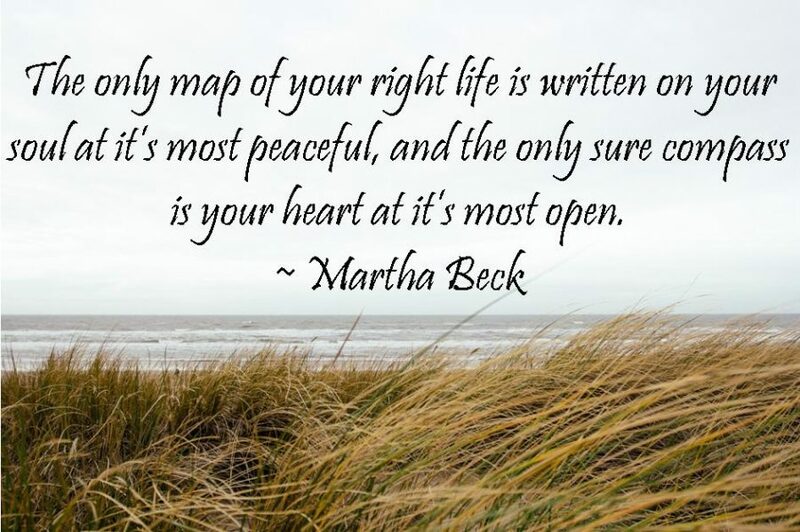 You’ll hear guidance, intuition, and your inner compass giving you clear direction. What does guidance sound like? It sounds like someone else talking to you. What’s more, it’s usually not something you’d have thought of saying yourself! It has a different quality, a higher quality. To give an example, I had a disagreement with someone and I was feeling uncomfortable, so I asked the Universe for help. I needed to see what was really going on, so I could change how I was feeling. Almost immediately I heard “You know you shouldn’t have spoken like that, you owe him an apology”. There it was – my answer. Through learning to tune into or connect with your inner guidance, you come to realise that you’re connected to a Power that has your best intentions at heart. Many times I’ve been guided out of sticky or uncomfortable situations because I’ve asked for guidance, listened to it and then practiced what I’ve heard. You’re never alone and help is always just a request or a prayer away! In short, to keep moving forward, start listening to your inner guidance. Comments, thoughts, experiences? Please share with us below.